When you choose M & M Glass of Whittier, CA, you know that there isn’t a more experienced team of glass specialists working for you. We have over 105 years of combined experience in the glass industry and there isn’t a glass installation or repair that we can’t handle. 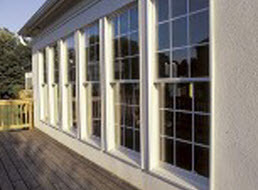 We have extensive training in windows, doors and other specialized glass installations and repairs. We strive for customer satisfaction as much as we focus on honesty and integrity to give our customers service they can trust. We are a locally owned and operated business and take pride in our community; always offering quality craftsmanship at affordable prices. We are locally owned, licensed, and insured. M & M Glass believe we offer the lowest prices in our sales area for all your glass needs so contact us today for a free estimate to discuss your next project! The glass specialists at M & M Glass will work with you to use glass to customize and beautify your Greater Whittier, California home. Glass plays an important role in your home both decoratively and for functionality. From window installation and repairs to glass shelving and mirrors, we will consult with you to meet your design preferences. Because glass is so breakable and easily damaged, it’s important to have someone who knows what they are doing during installation. Our team of glass experts have the experience and training needed to handle your installations with precision; causing no damage to your glass. 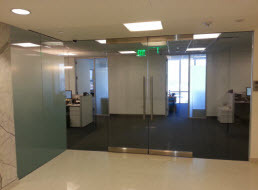 At M & M Glass, we offer a long list of comprehensive glass installation and repair services in commercial settings. It doesn’t matter if you are new construction or a business that is undergoing extensive remodel, our team of glass specialists have you covered. We have experience working with property management companies, business owners and design builders to name a few. 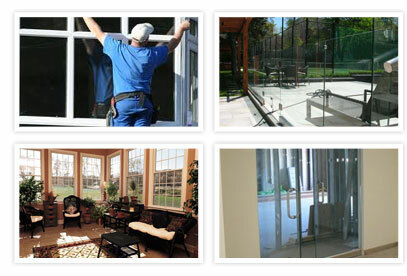 We specialize in glass storefronts and commercial door repair. Anything from skylights to aluminum storefronts and operating windows, we do it all and offer our valued customers in Greater Whittier, CA nothing but quality craftsmanship. Whether you are a small business or a large corporation, you can trust that M & M Glass will exceed your expectations. 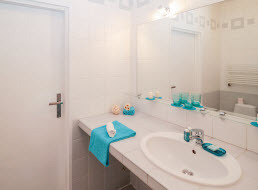 Mirrors serve several purposes in homes and businesses of kinds. Whether you need a mirror for a functional reason like bathroom vanity or dressing rooms or find yourself needing the right mirror to help your space feel more expansive, M & M Glass can fabricate the right mirror for you. Mirrors can add light, a feeling of expansion and even architectural design to a space. If you are looking for ways to make a small space feel larger and brighter, a custom mirror may be the answer. Our glass experts in Whittier, California have the experience needed to create the perfect mirror for you. We work quickly to manufacture your custom mirror and offer prompt installation at an affordable price. If you are in need of glass services in Greater Whittier, CA, our friendly staff offers free consultation to help you find the right glass solutions for your space. 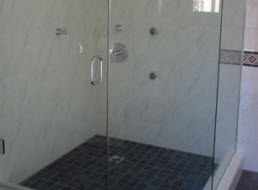 Our in house specialists can assist you in choosing from a variety of glass options to choose from. Call us today for more information at (562) 945-6212.